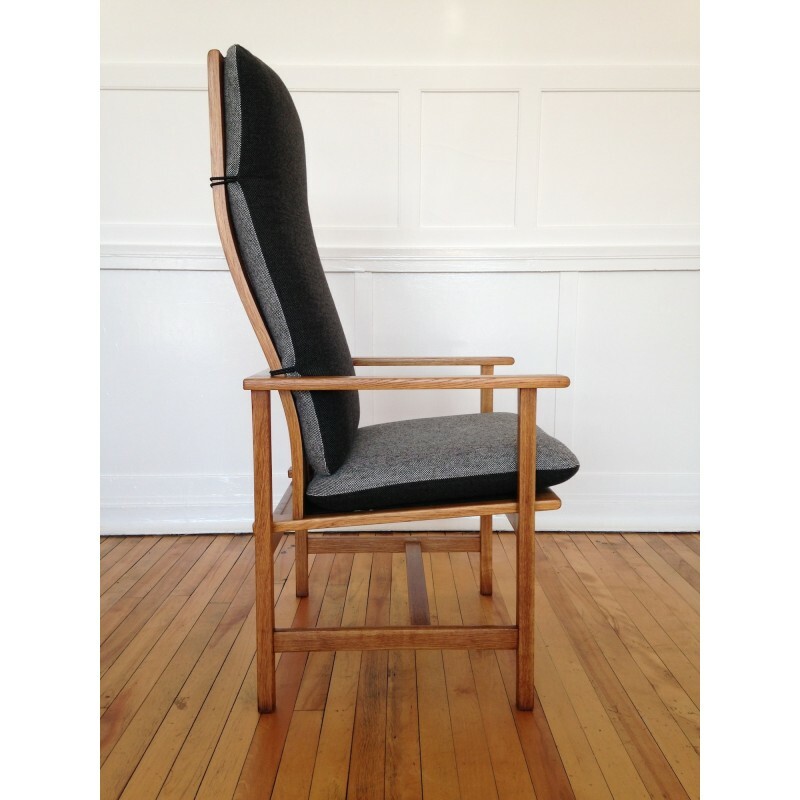 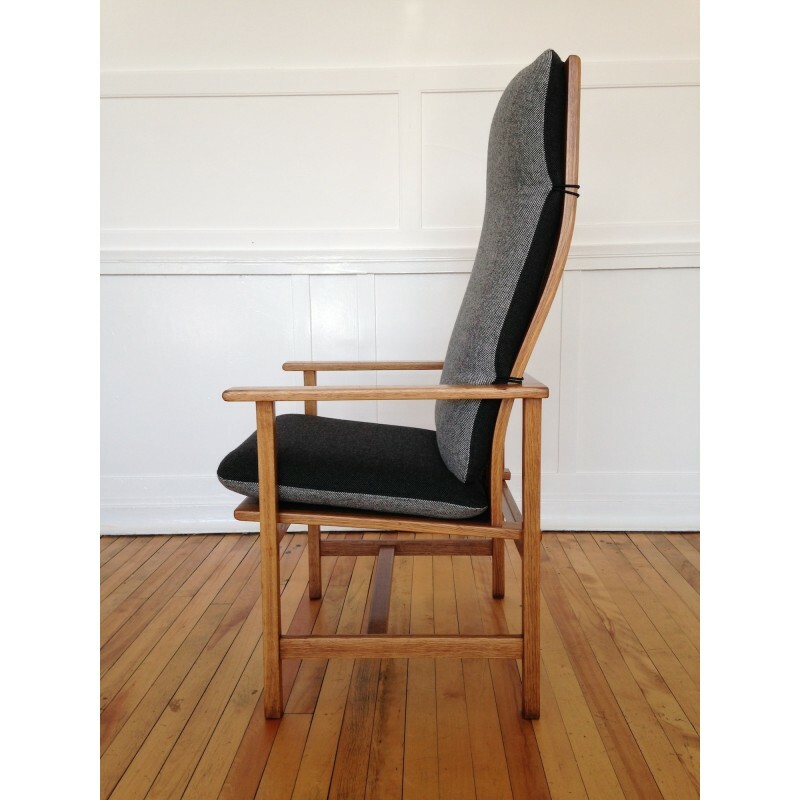 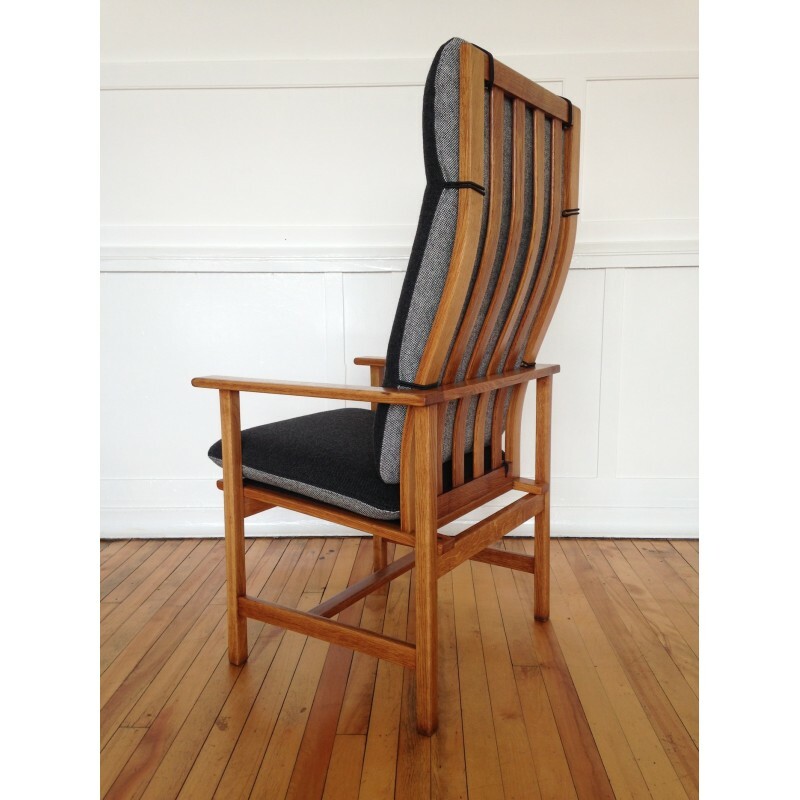 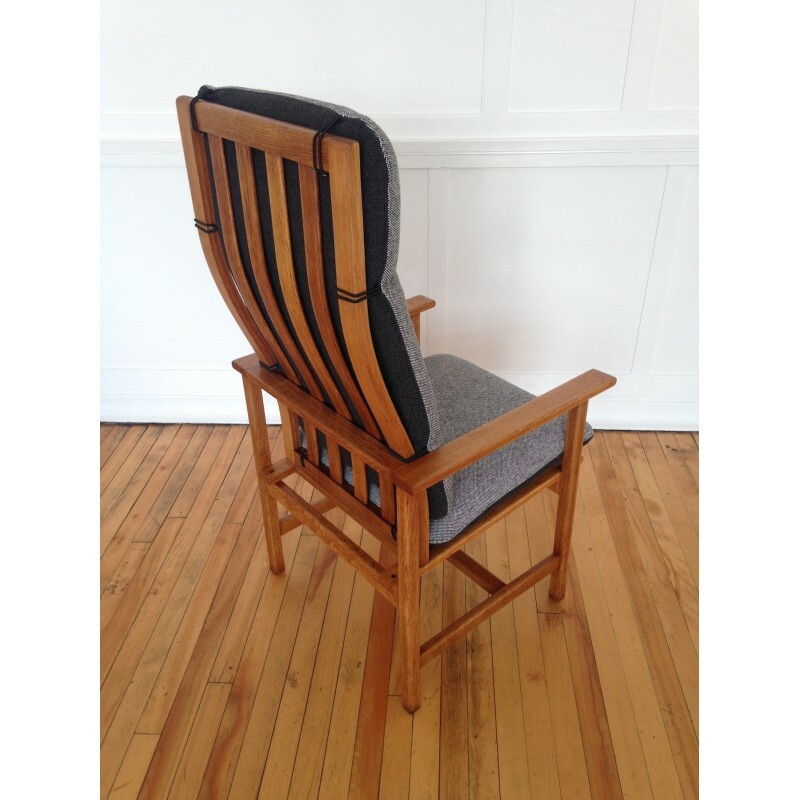 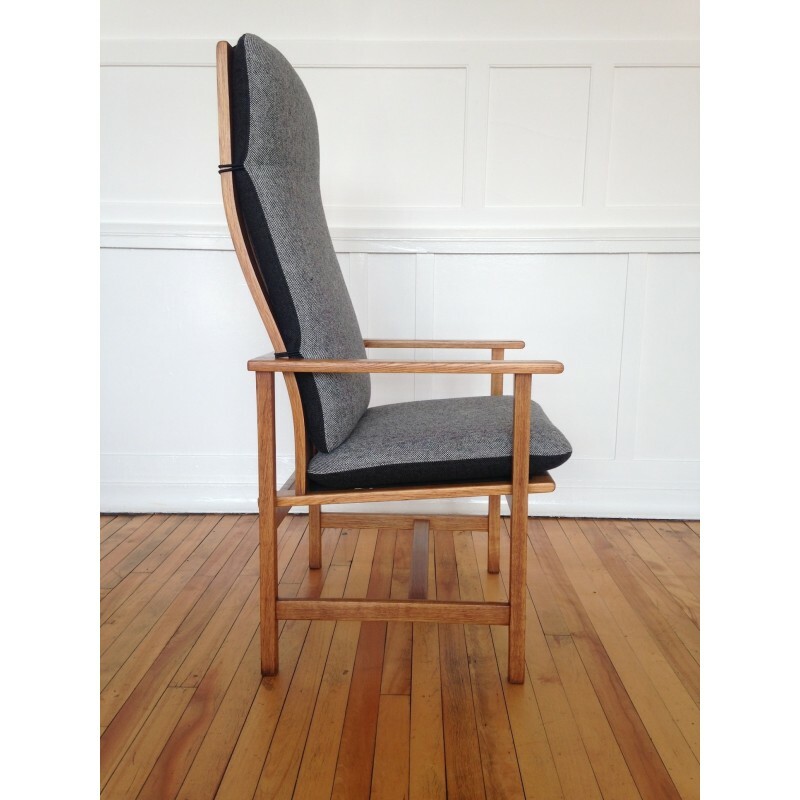 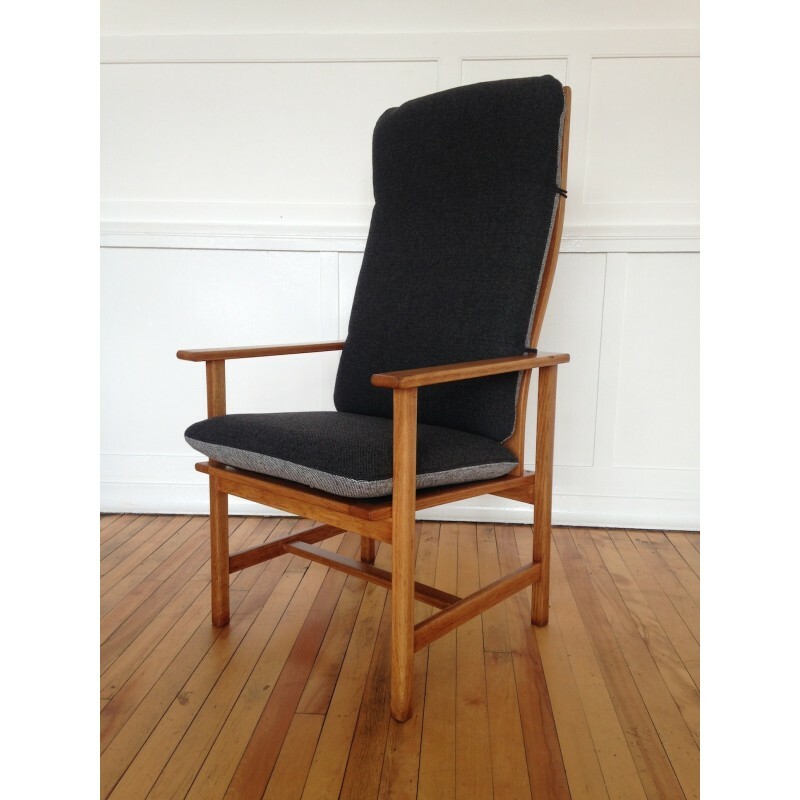 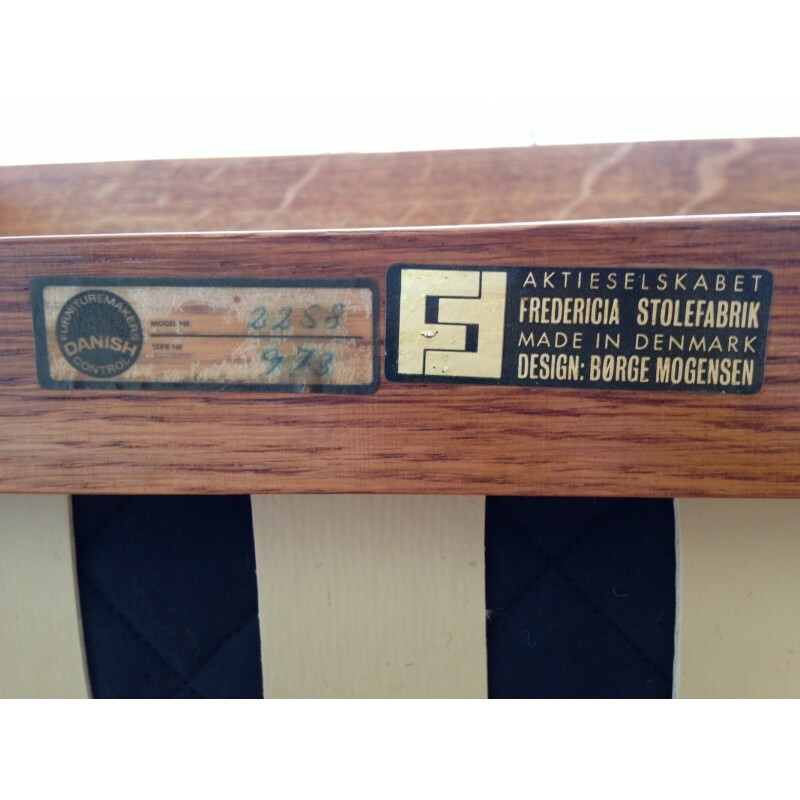 A superb 1960's armchair designed by Borge Mogensen for Fredericia Stolefabrik. 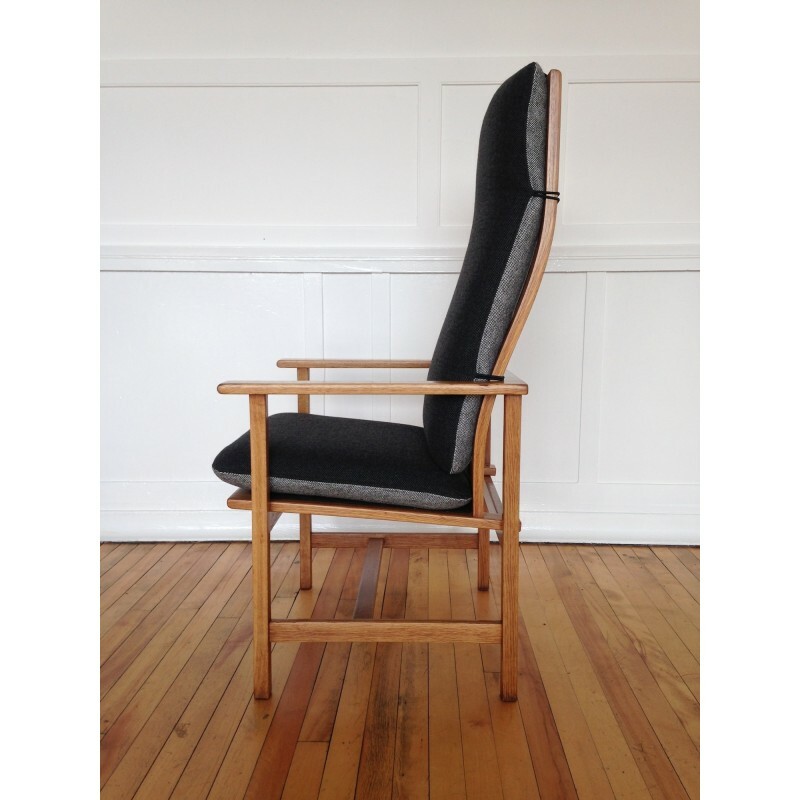 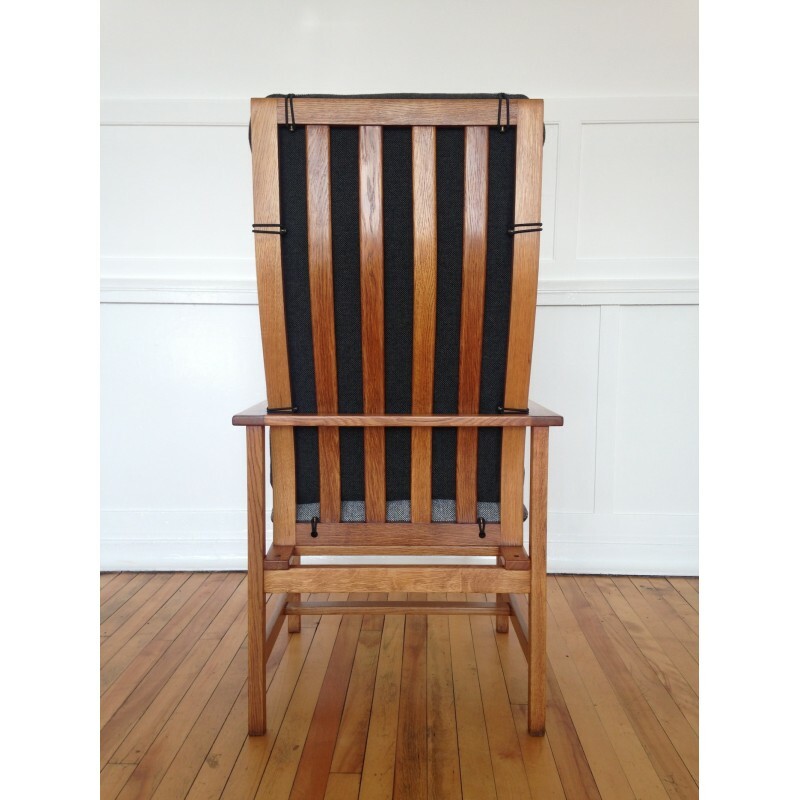 The armchair is made from oak and having been cleaned, nourished, waxed and polished to reveal it’s natural beauty, the condition is absolutely excellent. 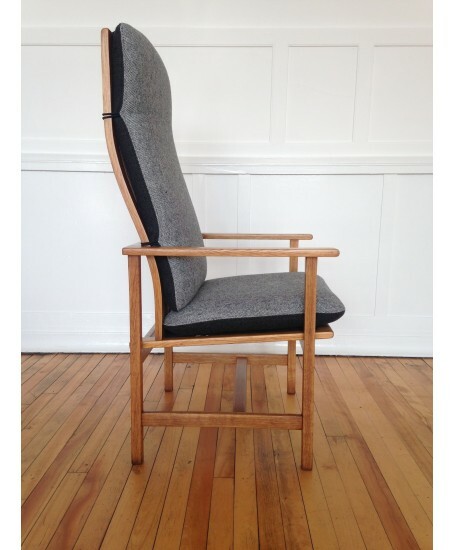 The chair has been fully reupholstered, including replacing all webbing as well as all foams etc. 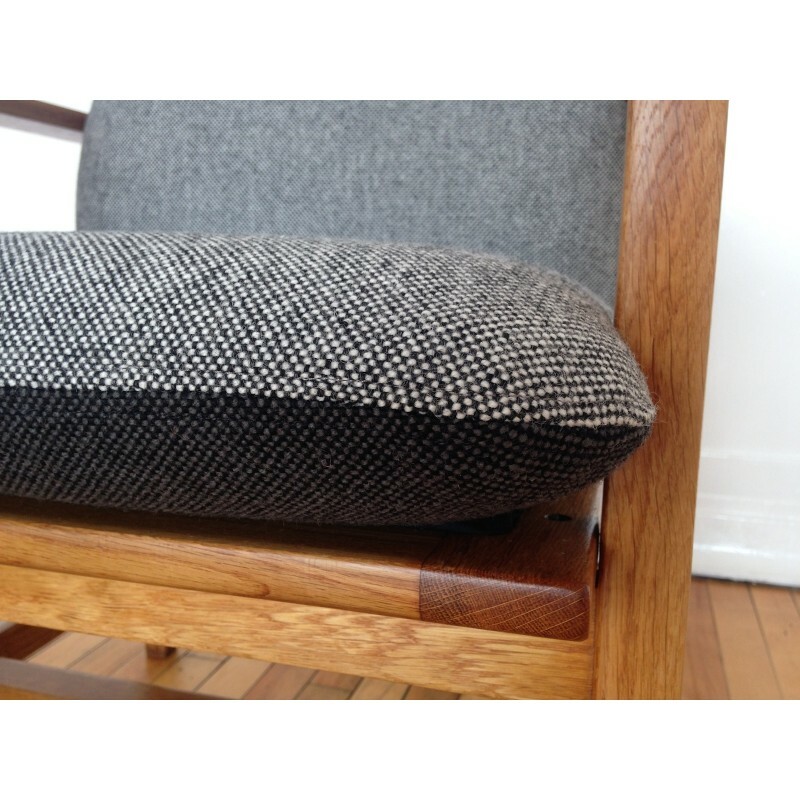 We opted to upholster the cushions in two contrasting colours, both from Kvadrat's amazing Hallingdal range. 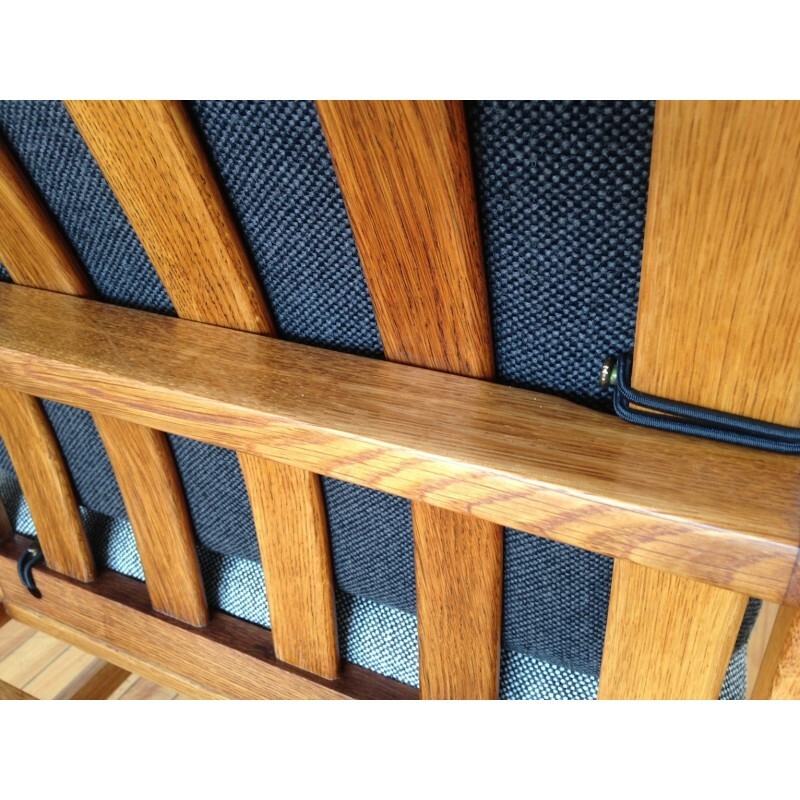 Both the seat and back cuhions are reversible and can therefore be used in multiple configurations as shown in the photographs. 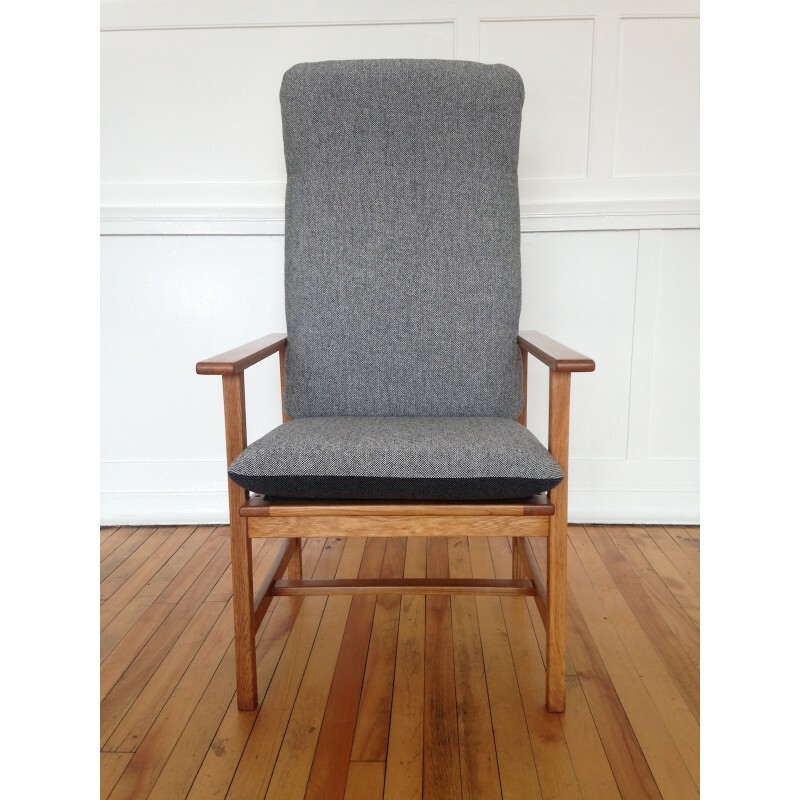 A sample of the fabrics can be provided upon request.